When planning your next new home project, architectural design, and engineering, consider including some energy efficient features into your final construction. Not only will you enjoy lower utility bills, but you may also qualify for a tax break for your investment. While there are many dynamic adjustments and additions you can make so that your new home would be more sustainable and save up on power usage, you may also implement some tried and otherwise passive ways to reduce energy consumption. The wide overhangs included on the 452-1 home designed by Architect David Wright offer an excellent way to manage sunlight exposure and reduce the heat that builds up inside your house. Once you get your deciduous shade trees planted, you will be on your way to maintaining low utility bills with little work on your part. Trees reduce sunlight exposure and help cooling down your building envelope during summer months. When selecting trees for shade on your property, be sure to add shade to any paved areas. The radiant heat coming off a hot concrete driveway can significantly increase temperatures in the summer. Size is also a factor when deciding on your home plans. The larger the home, the more energy it will take to heat and cool down. Are you able to downsize? You can settle for a home that is smaller than 1,000 square feet. The Korean Kabin 500-1 from Zero Energy Home Plans features two bedrooms, a bath with shower, kitchen, bright room, sun porch and utility room in just under 600 square feet. The slanted roof incorporates the energy of the sun to power your house and may also be used for your electric car. Construction specifications vary from state to state and region to region. The Orleans Modern Green Home was initially designed for Orleans, Massachusetts. This 2,000 square foot home features radiant heat in the floors, power generation panels on the roof, and luscious outdoor living spaces that shade during summer and therefore reduce run-off. Inside, much of the flooring is made of bamboo, a rapidly renewable building material. The walls are hurricane resistant and well insulated to reduce the temperature loss. Window frames have been reinforced for coastal storms and are wind and weather tight. Best of all, this house is LEED certified* and will save up energy usage significantly. If you are a fan of the modern home design, Houseplans offers Plan #497-54 by FreeGreen. This home is nearly 2,300 square feet and is loaded with excellent amenities. The second-floor master suite features a separate deck space for a spot that helps you enjoy the outdoors while reading and enjoying some well-deserved “me time.” Downstairs, there are two bedrooms adjacent to the main floor bath, and you could also enjoy the long sweep that goes from the living area passing to the dining room, and consequently to the kitchen. While the exterior of this house offers no overhang, the present drawings include retractable awnings for all the windows. The flat roofs provide private deck spaces, and the one placed atop the master suite could be an ideal spot for solar power capture, making this a zero energy house. The rainwater routing plan can help you keep your deck gardens flourishing. If you’re looking to downsize or want to combine your home and your business space, consider the ZEP Garage-2 from Zero Energy Home Plans. This building has enough space to park two cars or host a workshop. The living area upstairs can be accessed by exterior stairs so that you can avoid disturbing the people inside the house. Plus, when organizing such events, you may use the attic storage space along the sides of the living area and the full bath with every needed facility. The ZEP Garage is designed to provide a south-facing roof to power both the home and the electric vehicles. This garage is more than sustainable; it’s a money maker when you sell power back to your utility. This versatile home design may be a great temporary option while you save up to construct another larger house. 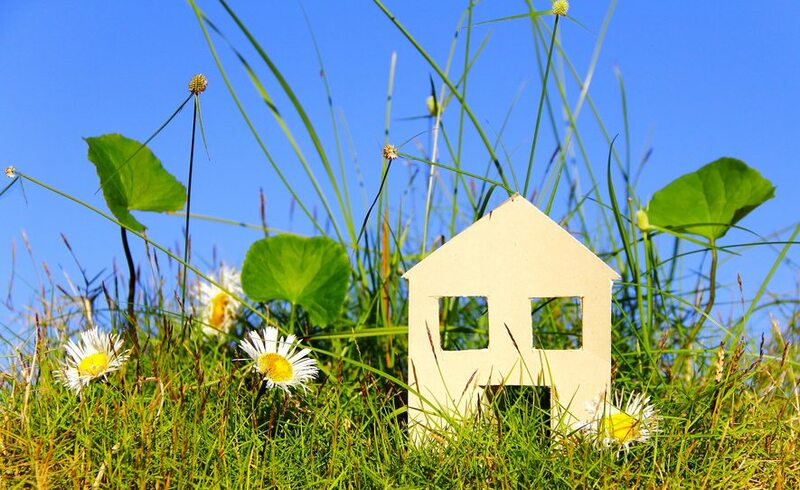 Green building can help you own a proper home with a small energy footprint. Working with a builder who knows the LEED (Leadership in Energy and Environmental Design) credit system can help you get the best tax credit for your investment. LEED certification can be sought different ways, and a knowledgeable contractor can provide you with the most beneficial program for your building. *LEED certified buildings are made with green materials. If you’ve ever suffered from any illness in a new facility because of outgassing by new materials like carpets and cabinet varnishes, be aware that your new LEED certified green home will produce less of these out-gassings. Additionally, the materials included in LEED certified buildings include a lower-carbon footprint and will save up on energy usage. As a general rule, a contractor who’s well versed in LEED language can also help you qualify for the 45L Energy Savings Credit. Again, energy efficiency is crucial when determining your credit availability for the 45L. It’s important to note that if you’re planning to do any multi-family construction, this tax credit is critical and can help you with your overall expenses. Whether you’re building your first home or looking to downsize, energy efficient options now give homeowners the chance to build a beautiful home that uses sustainable materials. These new construction options provide homeowners with low utility costs for as long as they choose to live in the facility. Walker Reid strategies will help you will consultancy and assistance on the matter and will be able to certify your building for the tax credits and deductions that may reduce your costs and expenses.